As a busy mom of four I rely efficiency – any thing that will save a little time and sanity. Short-cuts, Life Hacks, the Easy Button – whatever you want to call them they can make the difference between getting it all done and getting none of it done. Conquer your morning routines by making a schedule. Creating lists for to follow so that everyone is accountable for themselves is a huge time saver! Mom’s can use these too, I cannot function without my own routine and checklist for mom. Everyone grouchy when they wake up? You will definitely want to try this Morning Hack for a happy home. Make a meal plan. Not only will this save you time, but it can also save you money as well. By creating a weekly meal plan and following it, you will have everything you need for dinner time already in your pantry and deciding on what to make is a no-brainer. For even more time saving hacks, use a slow cooker and freezer meals! When planning out the meals for the week, I always make sure to plan out my own snacks as well. So often we are worried about the dinners and forget what we will keep with us when hunger strikes – I always make sure to check my ibotta app for my favorite snacks before finishing my shopping list. Keeping up with the household chores is one of the hardest to find time for in a busy family so cleaning hacks coming in very handy. To start, following a cleaning schedule is a must. Having a routine in place keeps the overwhelm under control. Stay on top of the little things by doing these 5 things every day. Laundry is my nemesis so anything I can do to get it done quicker, smarter, and cheaper is a huge plus! A 3-day laundry system works wonders. If you are like me then you know this is the time of day that you spend so much time driving around in your car. I spend roughly four hours every afternoon in my car driving around town to various activities – that doesn’t include the time spent during the day on my own errands. My car is basically my office – I spend endless hours on the go and I have to have my car prepped just right to make sure I can be as efficient as possible. A typical day for me includes school drop off, out for my morning run, followed by errands or activities. A few hours spent at home before we start the crazy on the go schedule again for the evening. Keeping the car well organized with Car Hacks that’ll make life so much easier is my starting place. I keep a trunk organizer and an emergency kit in the car, and of course snacks! If I’m going to keep up with a hectic schedule I HAVE to stay nourished and energized. 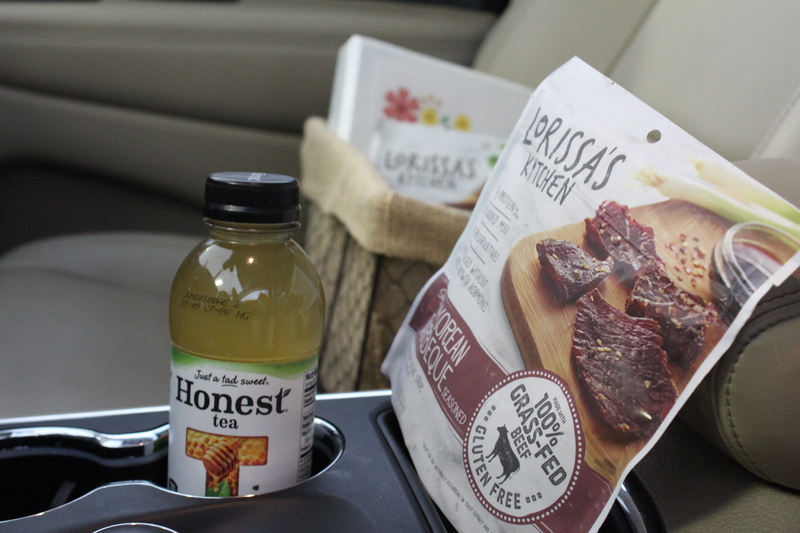 Lorissa’s Kitchen steak strips and Honest tea® are a couple of my go-to’s when loading up my snack basket. Yep, I keep a basket of snacks in the car just for me! I can’t tell you how many times I’ve forgotten to grab something before I left the house and didn’t have time to eat on the go – by the time I got home hours later i was starving and down right HANGRY! If I want to be my best self, then I can’t let the hanger get to me. 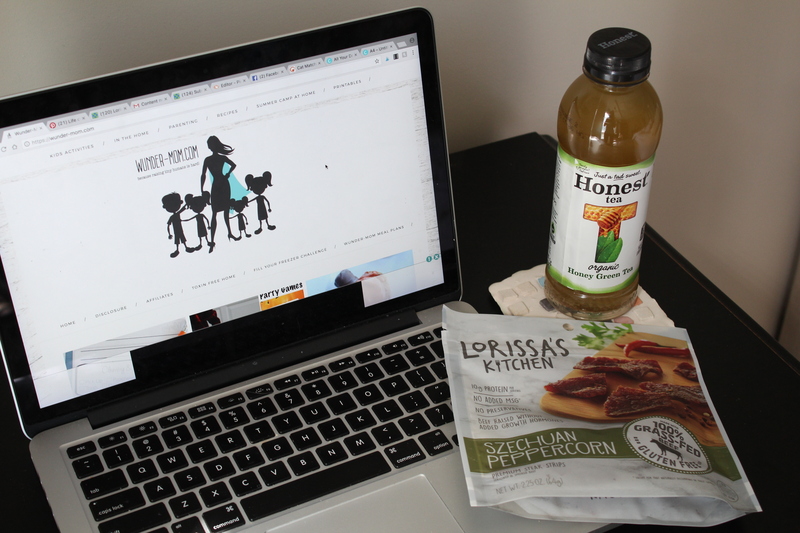 I’m a bit of a tea addict and Honest tea® Organic Honey Green Tea is just a tad sweet, making it the perfect afternoon beverage. I love the Lorissa’s Kitchen Korean Barbeque Beef for a quick snack – it’s 100% grass fed beef, is high in protein, low in carbs, low in fat, has no MSG, no preservatives and is gluten free. 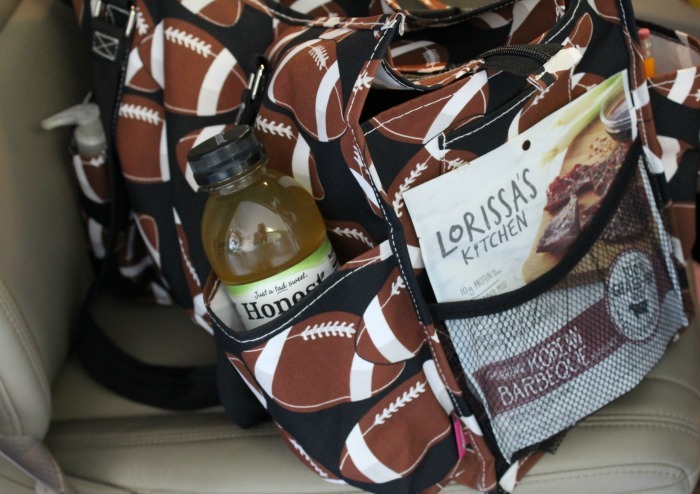 Both the Honest Tea and Lorissa’s Beef are a great pair and perfect to toss in my bag and take on the go! 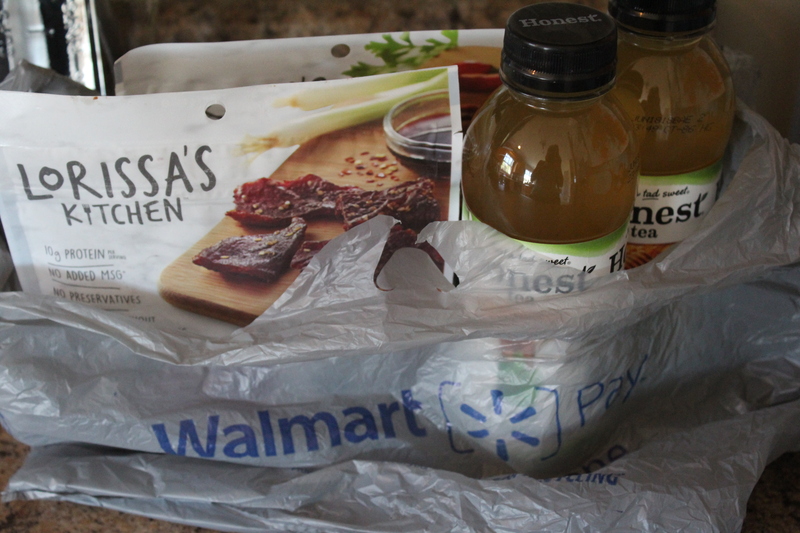 You can purchase both the Honest Tea and Lorissa’s Kitchen beef at Walmart. Right now there is a fantastic ibotta rebate too – just purchase one of each to receive $1.00 cash back. This rebate is exclusively at Walmart and you must purchase Lorissa’s Kitchen™ Premium Protein Snacks – Any variety – 2.25 oz. bag and Honest Tea® – Any variety – Single bottle only on the same receipt for it to count. If you’ve never hear of ibotta or haven’t tried it yet – I highly encourage you too! It’s a great way to get some cash back on your shopping without much effort. Yes! I use a lot of these hacks and tricks in my life as well! They definitely help everything run smoothly!